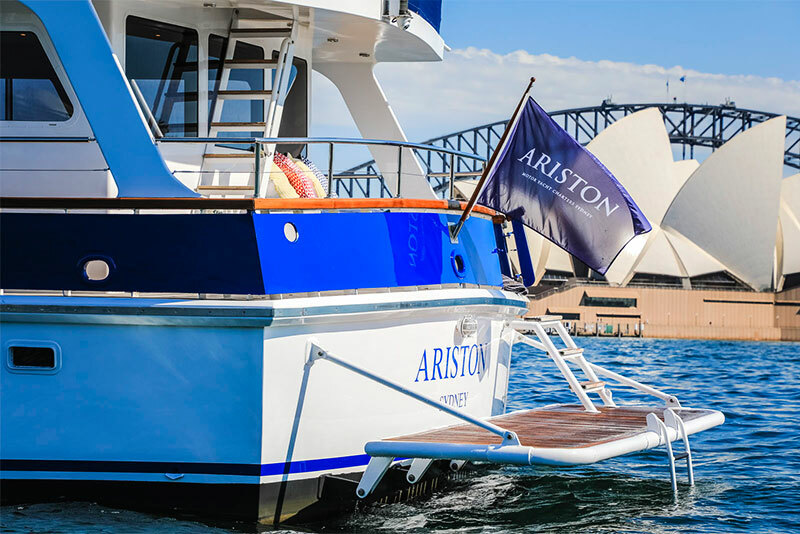 The most luxurious charter boat, Ariston. 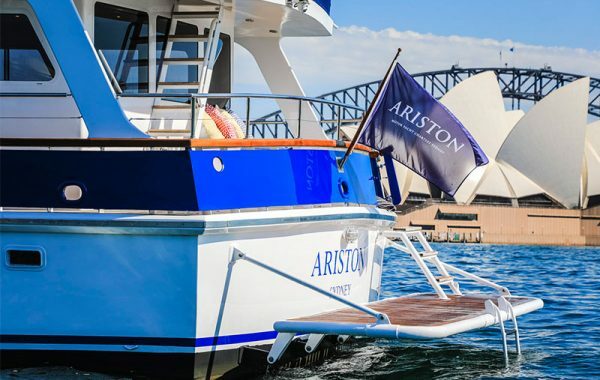 Ariston offers a unique event space for corporate, wedding, party or private luxury motor yacht charter. 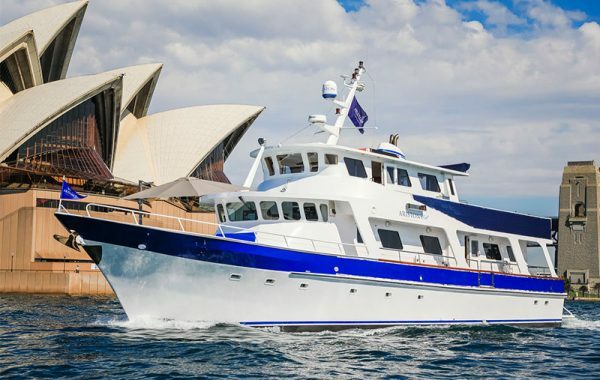 Derived from the Greek word meaning “the best”, she certainly lives up to her name. 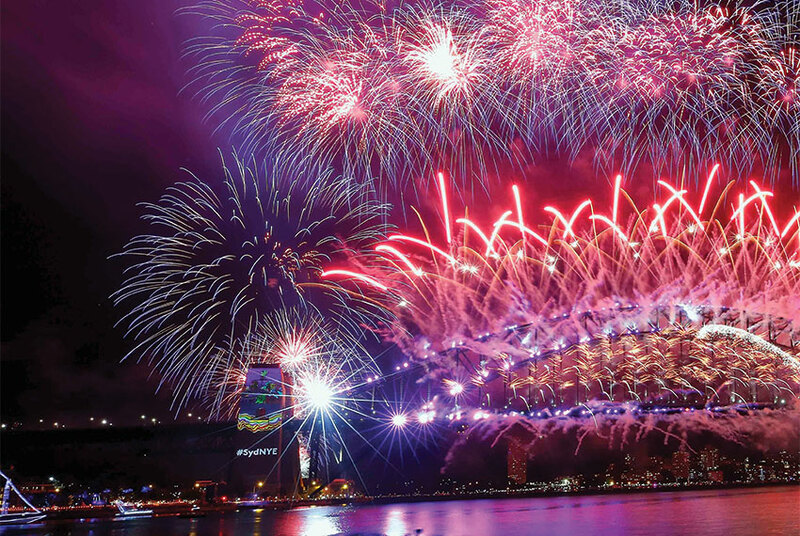 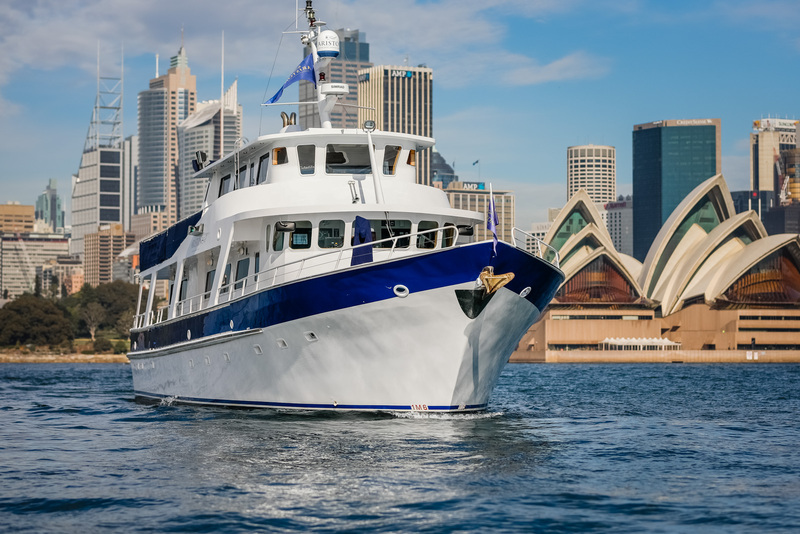 With superior catering, a range of Australian and International wines, along with a dedicated crew and wait staff, Ariston offers an unrivalled luxurious Sydney Harbour cruise experience. 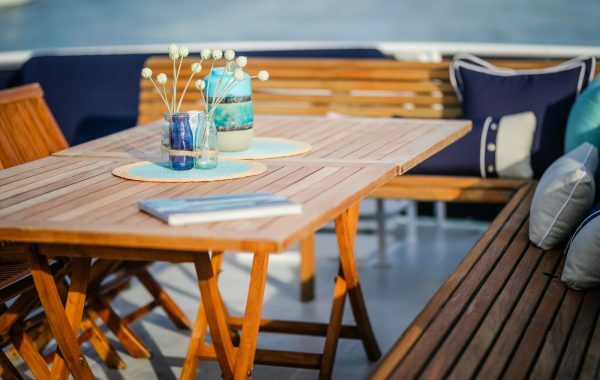 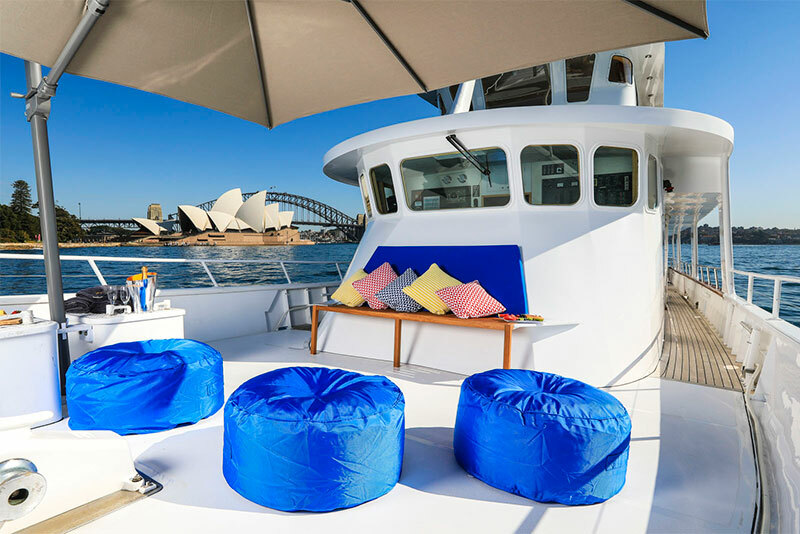 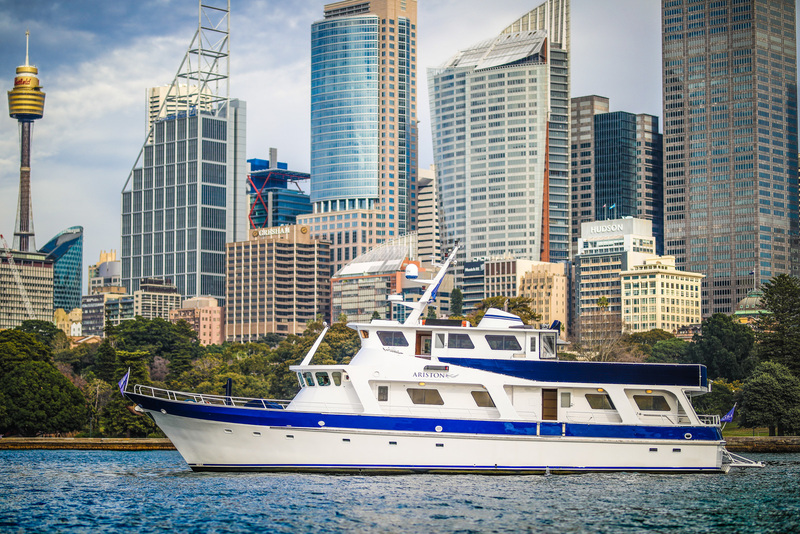 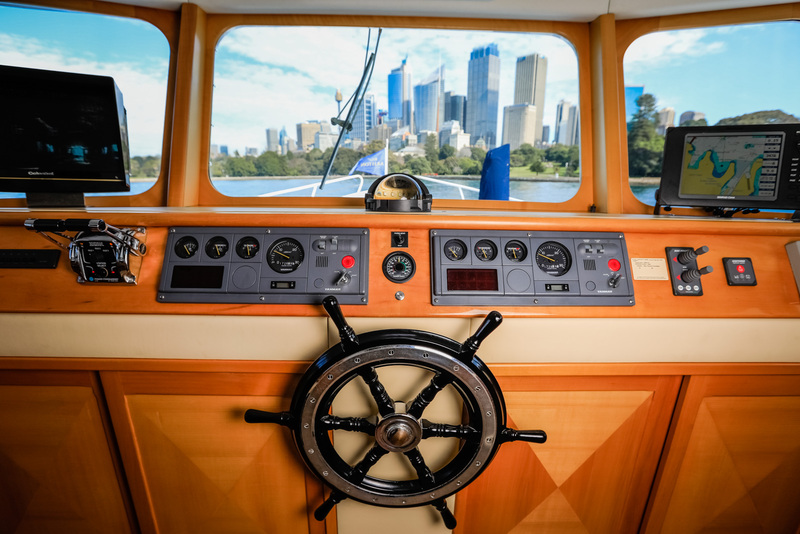 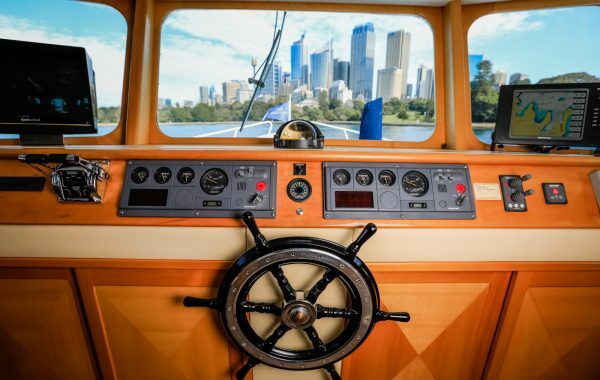 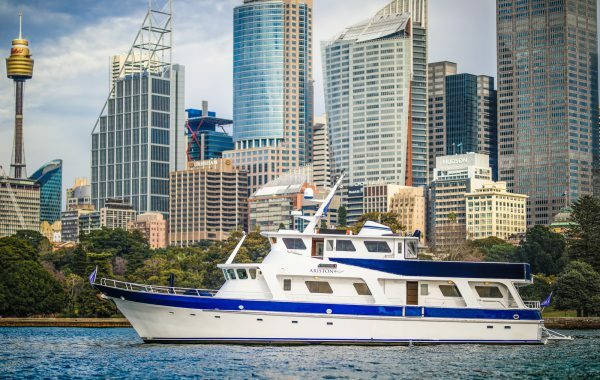 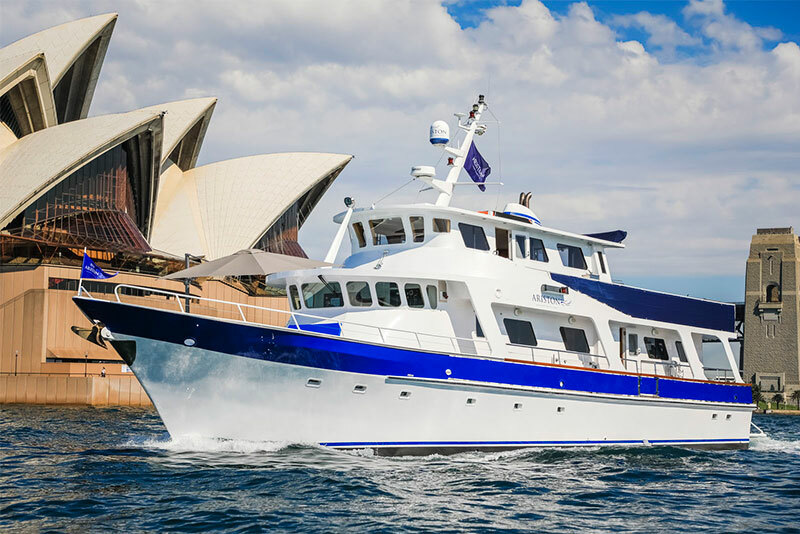 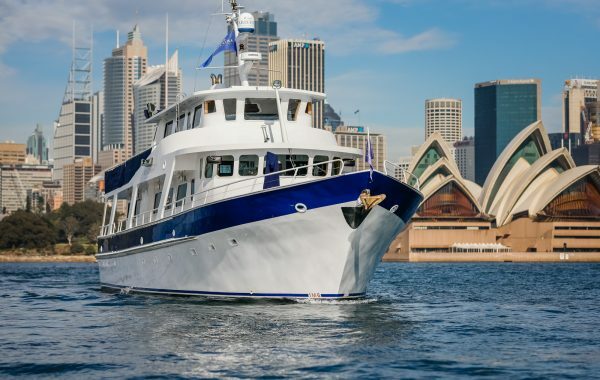 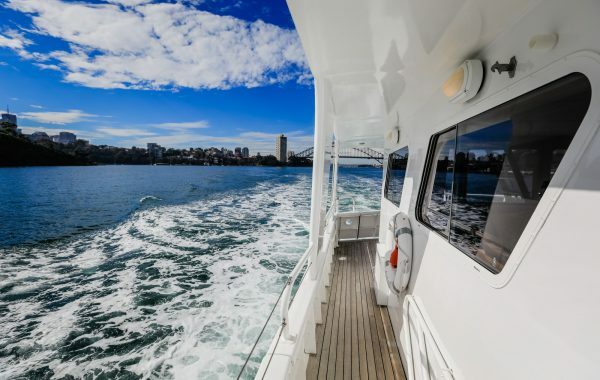 Encompassing three levels, including expansive indoor and outdoor entertaining areas, your guests can move around freely while enjoying the sights and scenery of a Sydney Harbour cruise. 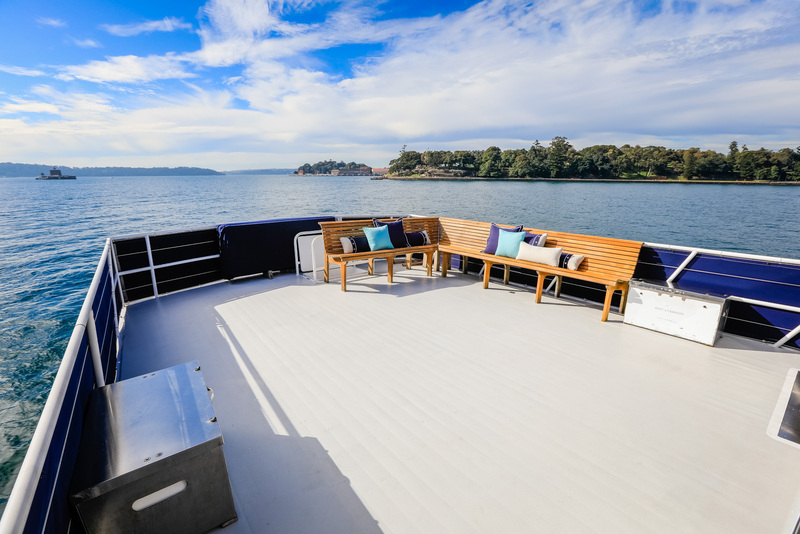 Up to 60 guests can enjoy cocktail style canapés and roving menus over two levels and up to 30 guests for seated dining. Audio entertainment on all decks, BOSE surround sound systems with iPod and karaoke input. 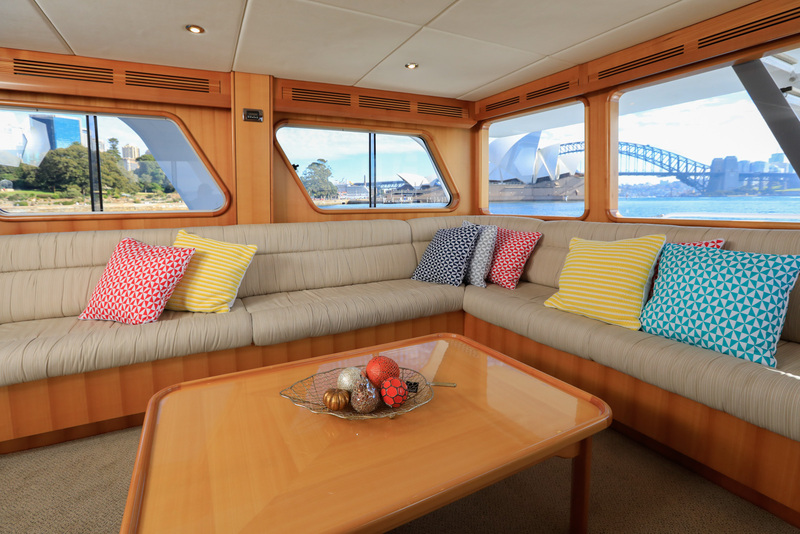 Foxtel, free-to-air TV and DVD replay with LED digital TV monitors are fitted for general viewing, corporate presentations or your special DVD feature for party or wedding guests.Aristons conference room on the inside upper level is fitted with internet connectivity providing on-line access and international conferencing. 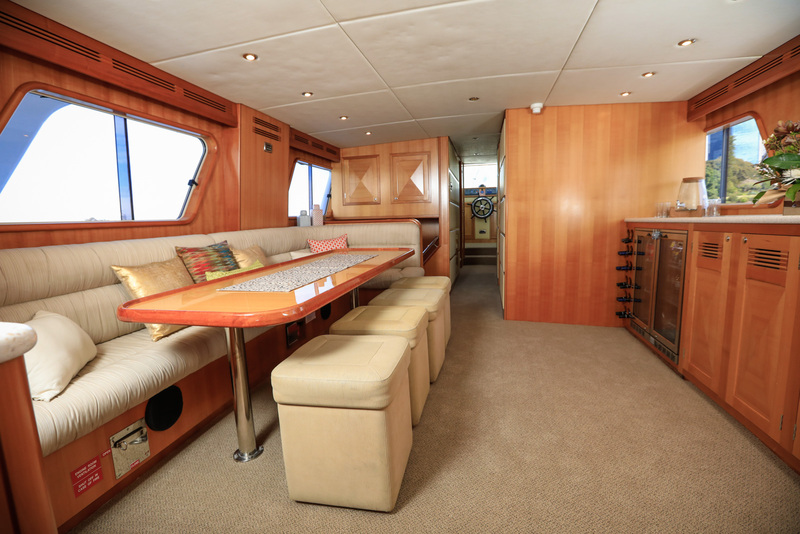 The conference room also features a drop-down 46" LED TV monitor with wifi laptop connectivity and round table seating for up to fourteen guests. 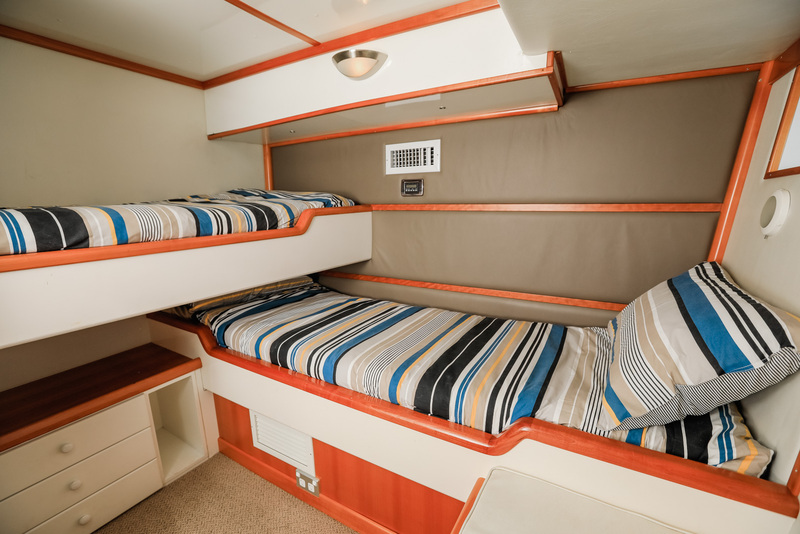 Overnight accommodation is available in five stylishly appointed twin cabins with ensuite. 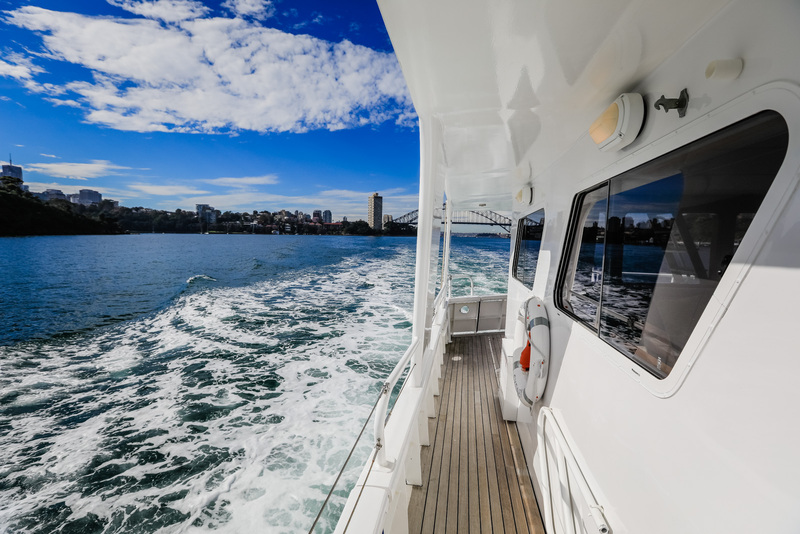 We look forward to hosting you onboard shortly – all you need to do is book your event and be ready to set sail! *No BYO beverage on Fridays and Saturdays in December. Excludes Christmas Day, New Years Eve and Boxing Day bookings. 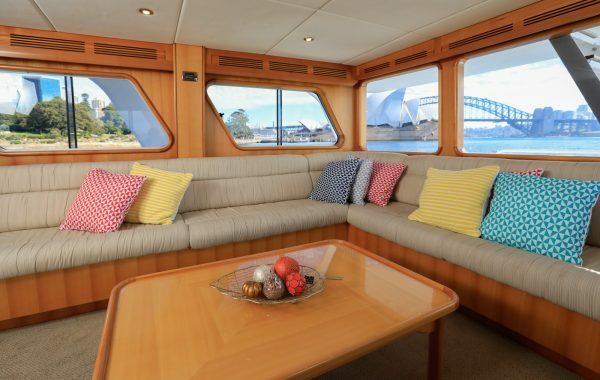 Please enquire for these public holiday rates.